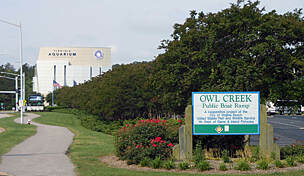 The Cape Henry Trail crosses the heavily wooded First Landing State Park, located on Cape Henry north of Virginia Beach. The trail provides access to the Narrows Recreation area, located in the park, as well as to neighborhoods and shops just west of the park boundary. 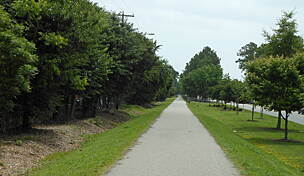 The urban trail segment from Jade Street to the park boundary is wide and paved, but this transitions to a natural surface for the longer portion within the park. 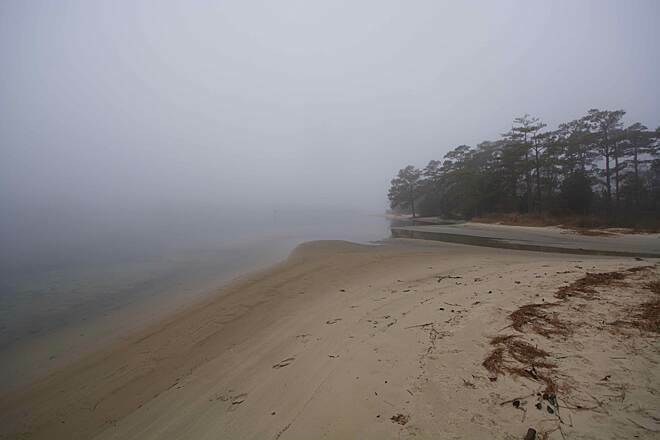 At Great Neck Road, trail users can travel south on the Great Neck Road/London Bridge Road Trail to access Virginia Beach’s southern reaches. 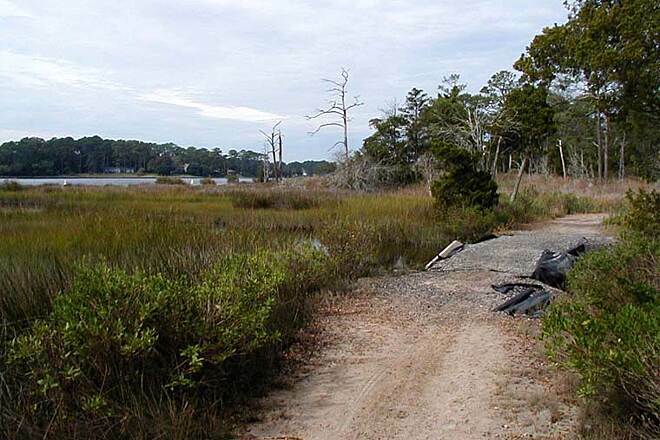 The rustic route within First Landing State Park has a few ups and downs, as well as narrow segments, perfect for a pleasant and easy mountain bike ride. 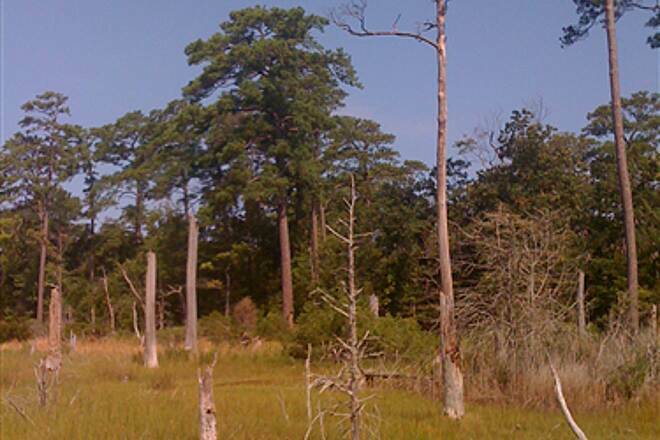 Look for wildlife, including ospreys, great blue herons, various waterfowl, foxes and deer. 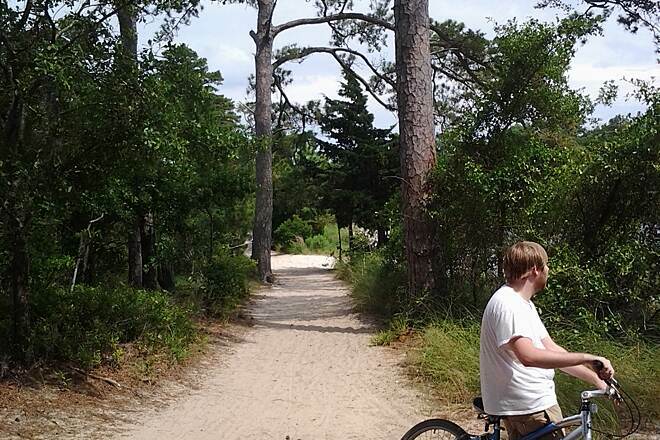 Parking for the Cape Henry Trail is available in First Landing State Park. From Virginia Beach, take US 60/Atlantic Avenue north to 64th Street and turn left. Look for signs to parking. 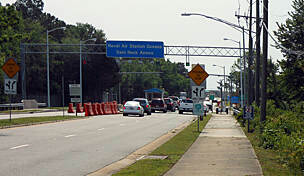 To access the trailhead on the western edge of the park, continue on US 60 from Virginia Beach; the road will eventually angle west to become Shore Drive. Turn left on State Route 343, then take the next right and follow the signs to parking. Alternatively, continue on SR 343 to park headquarters. User fees apply (minimal) and are less during the off-season. We enter this trail by turning off of route 60 onto the entrance that says Trails. Plenty of parking about 1/4 mile in. From the parking lot it is 4 miles to the other end of the park. All hard packed sand and shady. What I like about this trail is that the ride can be extended. After the 4 miles follow the road to Atlantic Ave. Follow Atlantic Ave. on a off street path towards Va. Beach. At the Cavalier Hotel cross the street, turn left in one block and the entire bike path along the boardwalk is in front of you - with plenty of restaurants. This trip averages 17 miles for us - you can go farther. Felt genuinely at peace here! Lovely trail! One of the best trails to take the family. Highly recommended. This trail was so beautiful to run on!! I definitely recommend it! 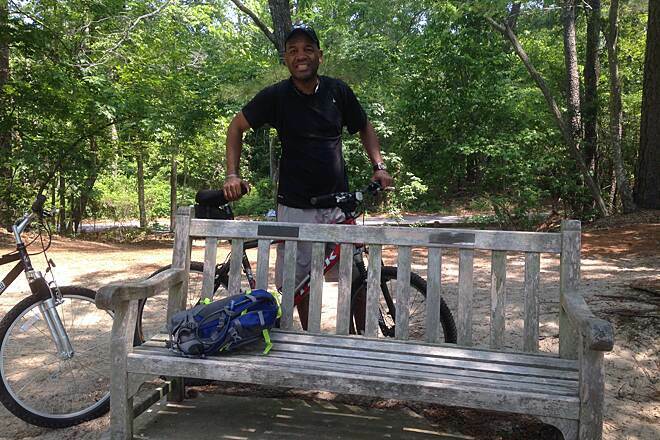 Since my wife and I are new to trail riding of bicycles, we selected CHT because of the comments on Trail Link. We were not disappointed! This trail is great, flat to moderate hills, and the 13 mile round trip makes for a great day! If you have the chance, please try this one out. One of my favorite trails ever -- and a great way to escape from the hot sun or the congestion at the beach. 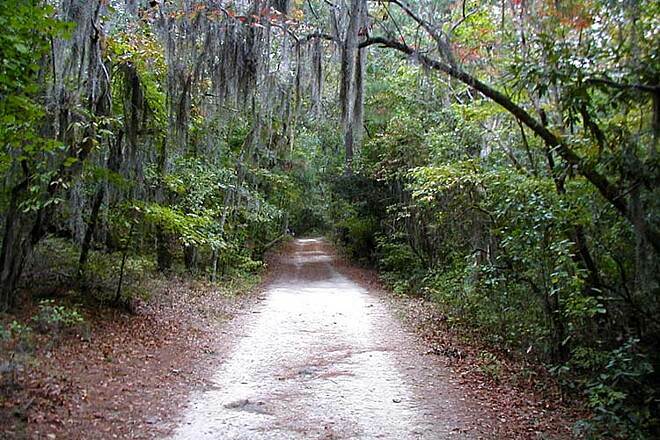 Most areas are shaded and tranquil, with lots of Spanish moss. Entering on 64th Street, you have two options. To your left is a shorter trail that's best for mountain bikes only, with a lot of sand and patchy surfaces. It's a rewarding little trek, with small hills, water views, and bird-watching. 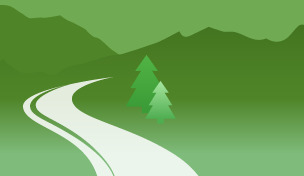 It ends at a swimming and recreation area, and you can loop back on the paved road if you choose. The left entrance (these two trails aren't seamlessly linked) is a bit of a smoother surface and a wider trail. 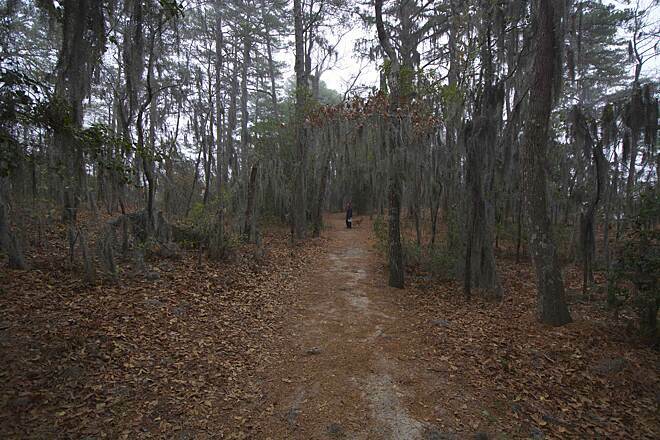 It's completely shaded and runs for several miles before hitting the campground area of First Landing Park and then entering a suburban area. Nice trail and easy for beginner bikers. Lake on trail is beautiful. My favorite trail so far! 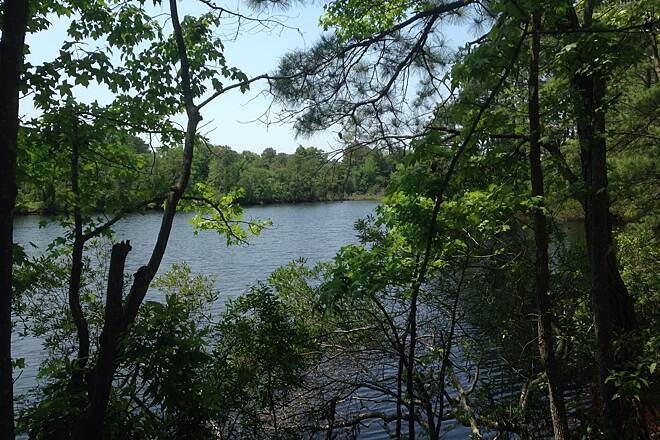 The bf and I have been to 3 trails around the Hampton Roads area (including Sandy Bottom Nature park in Hampton and the Newport News park bikeway), but this trail in VaBeach blew me away. I really wish the bike trail looped back around, but it was well worth $4 parking and the 8 miles it took us to bike the entire Cape Henry trail and get back to the parking lot near the station/office (instead of going all the way back through the same trail, we cut it in half by riding the road and getting back on the trail at a place where they intersect). A park ranger noticed us studying a map and kindly helped us out; he seemed like he loved his job. The scenery is awesome! 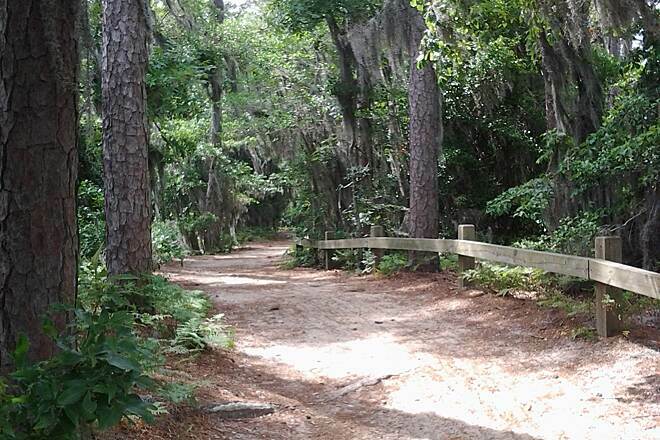 The trail is well maintained and mostly dirt/gravel/pine straw, with many walking trails branching off along the way. Prepare for a few sandy areas (especially at the end, where it ultimately opens up onto a friggin beach!!) and a few hills where you can change gears. 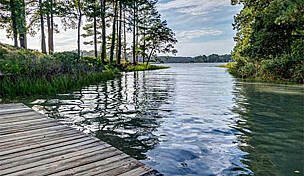 It also has lake views, 3 or 4 small bridges to cross, marsh-like areas that you wind through, and oh yeah... a BEACH. Next time we're bringing bathing suits!! A wonderful bike ride. About 5 miles on dirt, which can get a bit muddy, but still navigable after a rain. 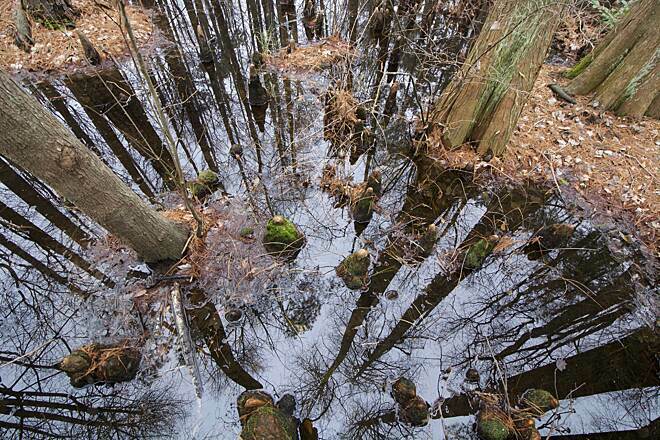 Miles 1 through 3 Are fairly flat and go through woods and swamp. Miles 3-5 are a little more open, with a small lake, a few small hills and patches of sand. 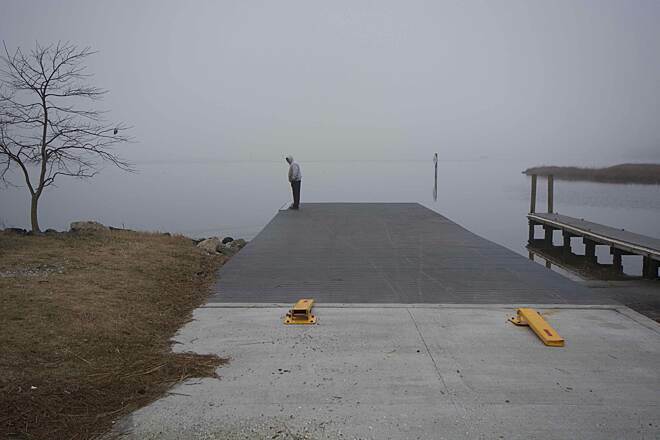 There is an alternative to the boat landing by using the road that comes in on 64st street. Be careful on the road, drivers are generally aware of bikers, but there are times it gets close on tight turns. A couple of rest areas and drinking fountains. Highly recommend. This was my son's second trail ride ever, and this was perfect training ground for him: wide double-track, very few other riders (in mid-March), and plenty of rolling ups and downs for him to explore his gears. The "narrows" section (toward the endpoint of the ride) was a little steep and sandy for a young rider, but a welcome challenge compared to the gentle rolling, mostly flat, terrain that dominated the other segments of the trail. Starting at the cabins (or before) offers an opportunity to ride on pavement before the Cape Henry Trail, and the Park has reconstructed some traditional Native American dwellings for the kids to explore--a sort of trail museum. My kids loved it! "As a road bike enthusiast, I am excited that the paved section of the Cape Henry Trail now extends further west towards Lynnhaven Inlet. This is an almost perfectly flat, straight bike path, with a reasonable number of road crossings (basically, only one major crossing as Great Neck Road). 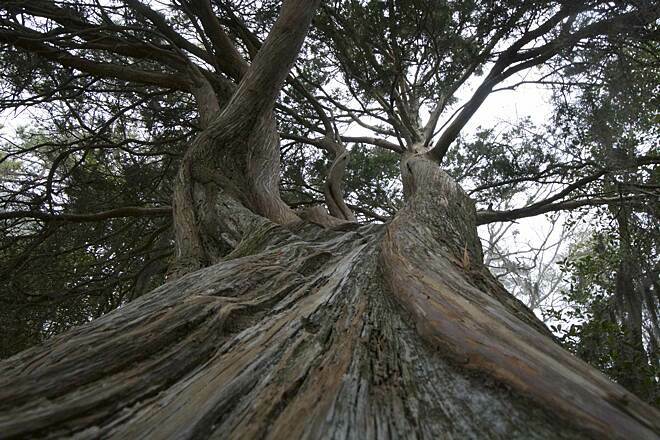 On the east end, it extends into the Visitor's Center in First Landing State Park." 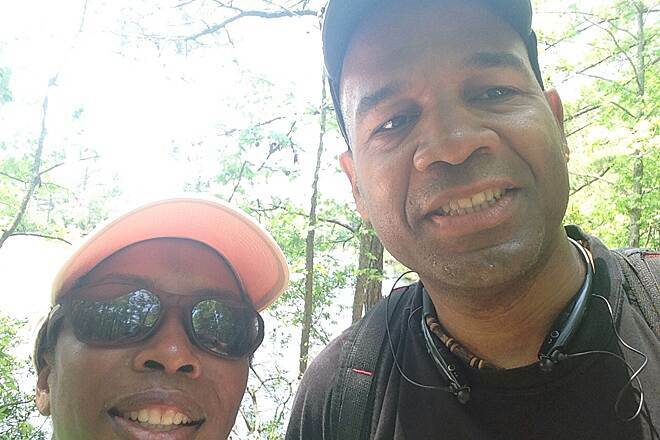 "We discovered the Cape Henry Trail on our beach vacation last year. We loved it so much, we had to come back in 2004. The Cape Henry Trail was part of our daily vacation routine. 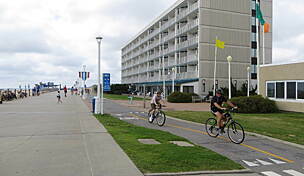 We stayed at a hotel on Atlantic Ave. From there, we rode the boardwalk bike path to 40th Street, then around the Cavalier hotel to Oceanfront Ave. We prefer Oceanfront Ave to the Pacific Ave bike route. There is much less traffic and the sights are much more enjoyable. We then rode all the way to 62th Street, then crossed over to the Pacific Ave bike route. 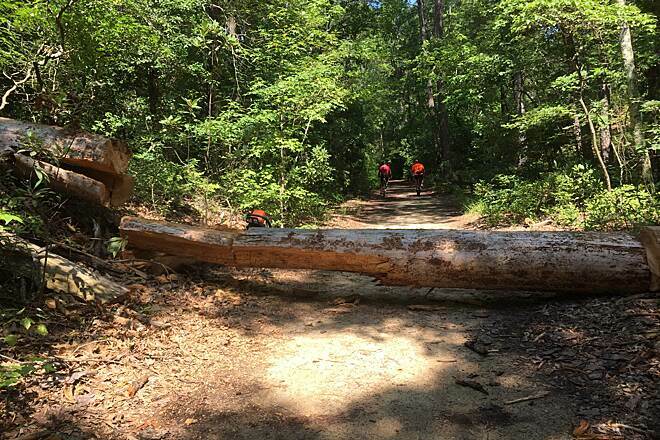 We accessed the Cape Henry Trail from the 64th Street entrance. The round trip is about 20 miles. The trail is absolutely wonderful and in good shape. This is the best of urban and off-road riding around." 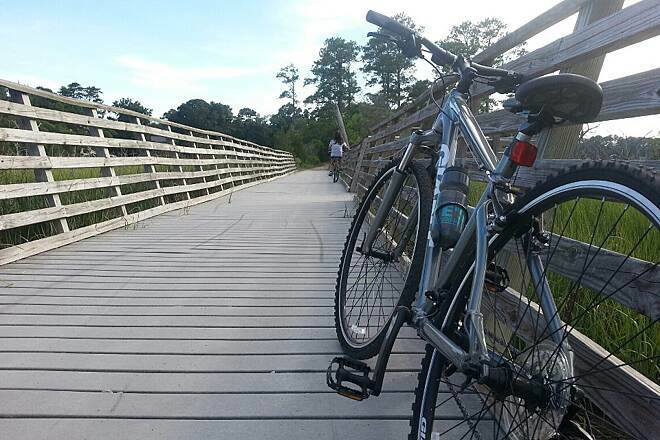 "The Cape Henry Trail, in First Landing State Park is a gem for biking and foot travel. The westernmost mile + is paved. From the Trail Center (which has outdoor maps available), the trail is mostly hardpacked earth to the end at the Narrows. This section is wide and has 1/2 mile markers from the Trail Center on. 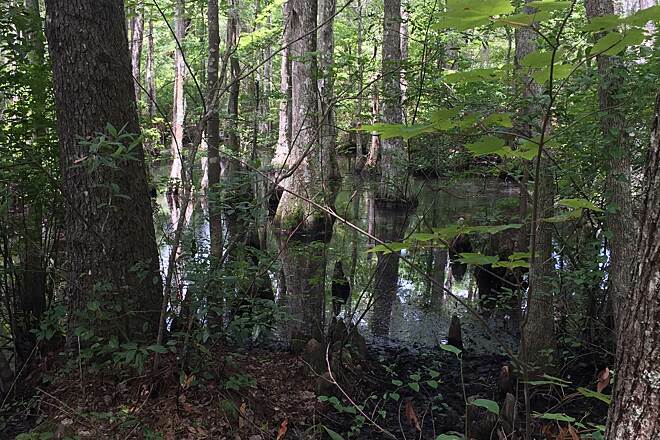 The trail passes through deep forests, cypress swamps, then meadows, salt marshes, and bayside beaches. There are a large number of foot only trails that run through other sections of the park. 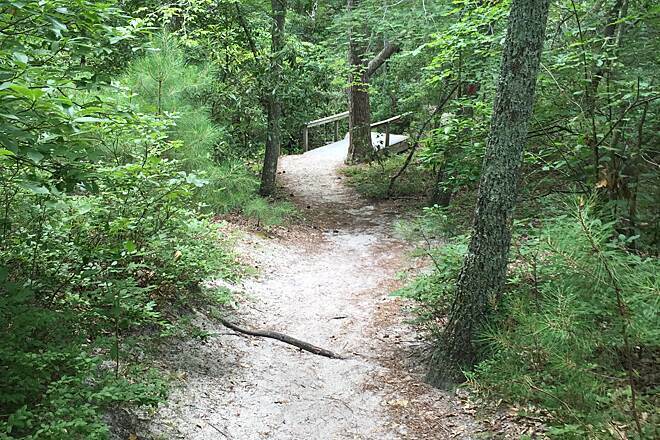 Along the Cape Henry Trail, trail maps are situated along the route, and there are well spaced restroom facilities. 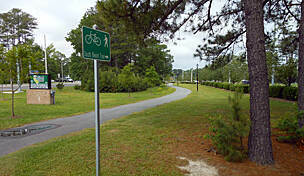 This trail is part of the Virginia Beach bike path system, which can be followed for long distances in either direction beyond the park. Usage fees are higher than posted here, but reasonable. This trail is well worth the visit. Rates an 8 out of 10! 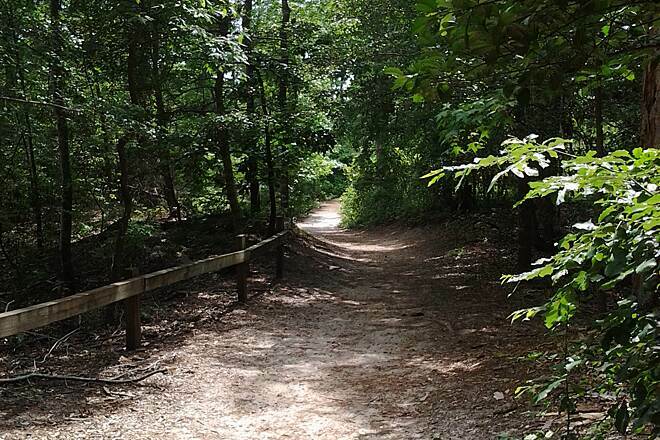 "The name of the park has changed, but the old reliable trail is still there: 3/4 of a mile of paved approach trail and 8 miles of natural surface is a wonder to ride on. 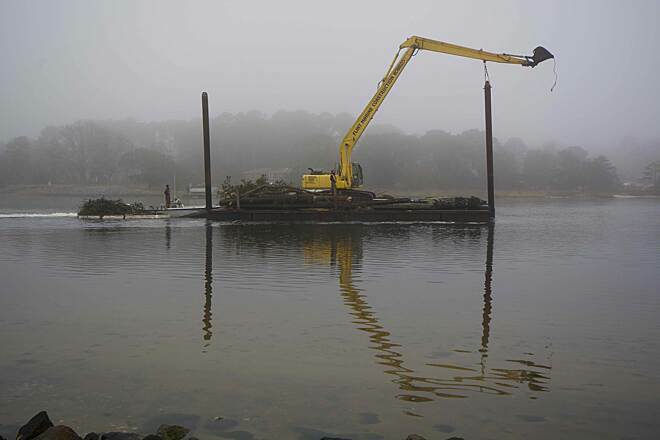 The back approach on the 64th Street Narrows section can be a little dicey as there is a fair amount of loose sand on some corners that requires some quick downshifting. Plenty of stops for restrooms and water along the way. A perfect chance to pack a snack and enjoy the scenery."